Long-distance bus lines have recently enjoyed great success in Germany. But could they also compete with railways in Switzerland? Transportation systems graduates Samuel Bissig and Philipp Hess investigated this question in their bachelor thesis. 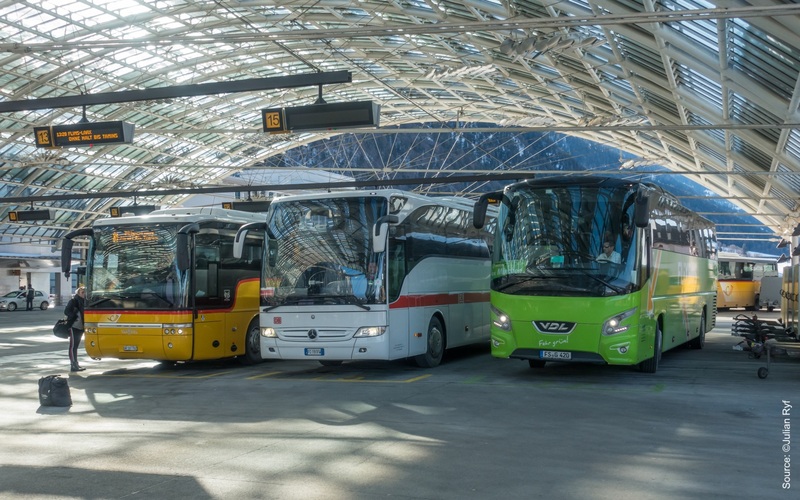 The first long-distance bus lines within Switzerland started operating in June 2018 – more could follow. Whether and how many passengers will change from the train to the bus has not yet been scientifically predicted. On behalf of the Schweizerischen Südostbahn AG (SOB), Samuel Bissig and Philipp Hess have taken up this topic. In cooperation with SBB, SOB will take over the long-distance traffic line over the Gotthard mountain route from Basel and Zurich to Locarno. A cooperation between SOB and SBB is also planned on the Bern-Zurich-Chur corridor. For the graduates, the central question was whether a Swiss long-distance bus offer could be a competition for these corridors of the SOB-SBB cooperation. Specifically, Samuel Bissig and Philipp Hess investigated the potential of different user groups for long-distance buses in Switzerland and performed a survey among them. Furthermore, they carried out a detailed situation analysis of the described corridors and the long-distance bus market in Germany and nearby countries. Based on the demographic data and the survey results on the purpose and travel entitlements, the graduates were able to create user profiles. “We have chosen the groups of people we believe have the greatest potential for a long-distance bus operator,” says Samuel Bissig. “The survey showed, for example, that there is very little demand among commuters for long-distance buses as a means of transport to work. 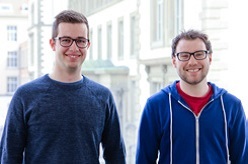 Samuel Bissig (left) and Philipp Hess have investigated the potential of long-distance buses in Switzerland. Based on the survey results, the graduates created user profiles and calculated the potential of the respective user group. They entirely focused on leisure traffic. “More than 20 percent of all respondents who fall into this defined user group would use a Swiss long-distance bus offer”, says Samuel Bissig and adds: “That means they could imagine using it, if the price would be attractive.” According to the graduates’ survey, the ticket price is the most important criteria, even before the travel time. Comfort and on-board service hardly contribute to the decision. “While in Germany the long-distance bus with Wifi scored points compared to the railway, this is less important in Switzerland,” says Philipp Hess.